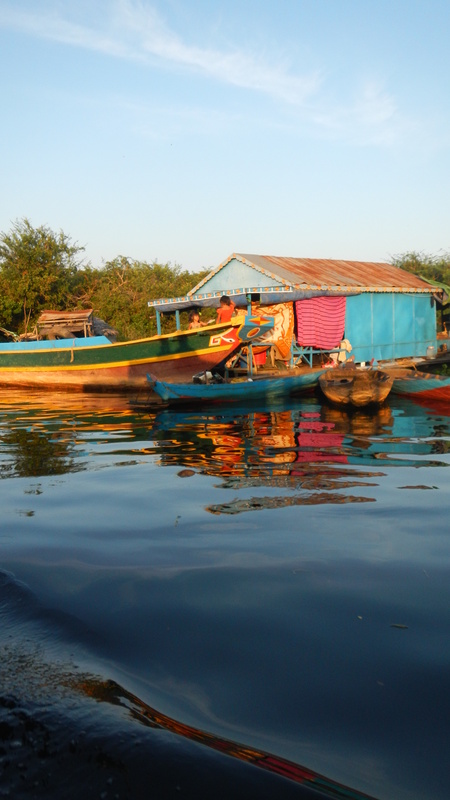 Tonle Sap in Cambodia is one of those places that you’re not even sure you need to see, but when you get there you’re really happy you did (the same way I felt about the Grand Canyon if you can imagine….). 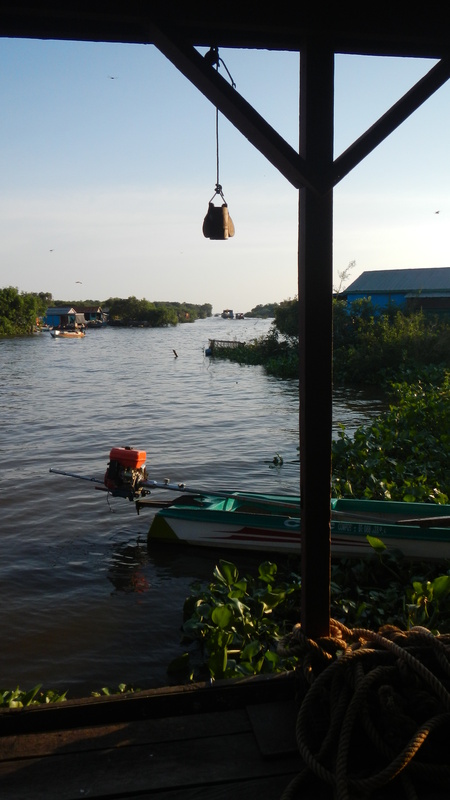 It is the largest free-water body of water in SE Asia and provides an abundant amount of resources for a huge area of the continent. A seasonal phenomenal, it also is home numerous and unique animal species and to thousands of people who live along the shores in floating villages and homes; some no more than huts on empty oil drums. Others, however, are colorfully decorated and used as both homes and sites of commerce and retail sales. 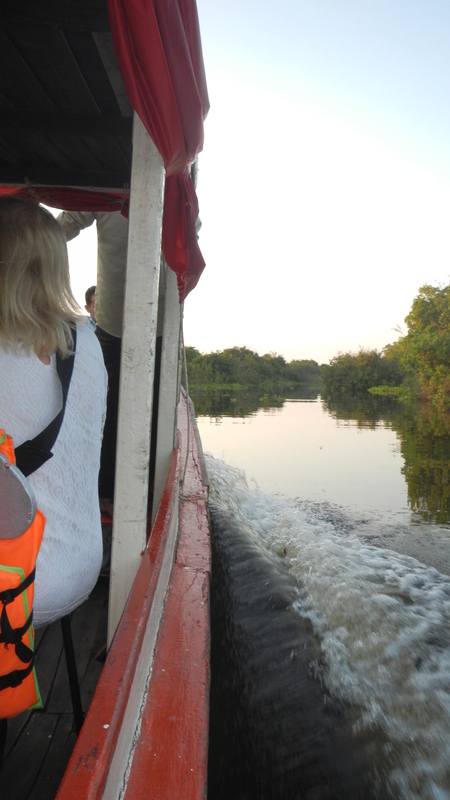 My tour left the shore on a small boat with single seats on either side. 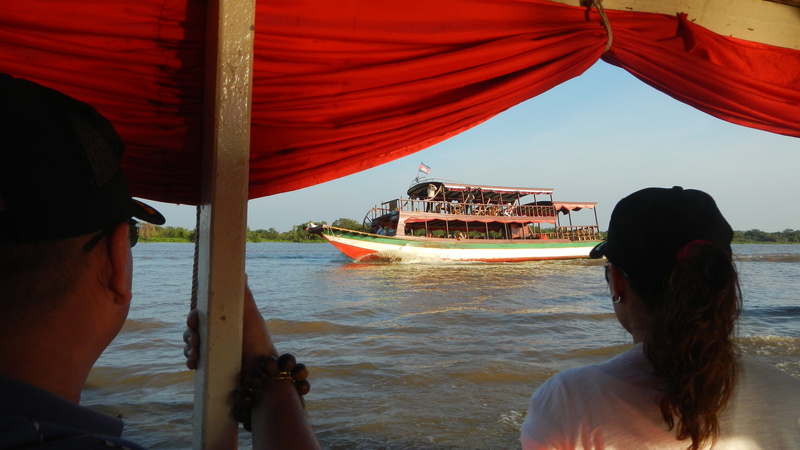 After a lengthy and intimate tour of the river, lake and floating villages we ended up on Tara, a large boat that serves as a staging area for a cold beer and sunset buffet. 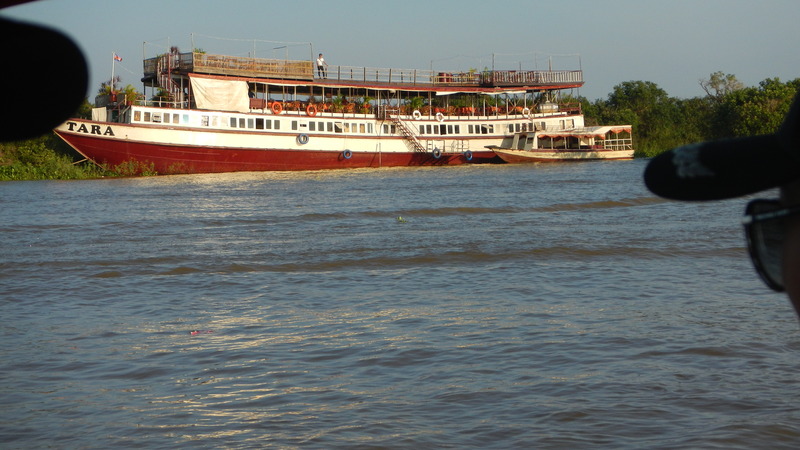 Here more about the site Tara at Tonle Sap Lake. 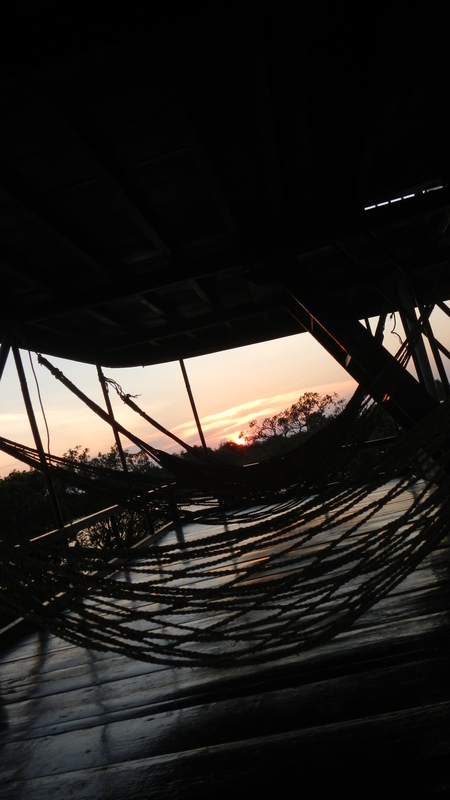 Enjoy these shots and check out the picture on my opening page which was taken from the top deck of Tara. Wow. Looks so excotic! And I have yet to go to the Grand Canyon either- but I think I need too! Thank you for all your posts. I love catching up with you through the blog 🙂 Love you!